Hope you had a wonderful Family Day long weekend and were able to celebrate Valentine’s Day with that special someone : ) The weather here in Calgary certainly lent itself to getting outdoors and enjoying some fresh air, blue skies and Vitamin D! As beautiful as the weather’s been in our city lately, with the warm Chinook winds rolling in, I’ve had numerous calls about people suffering with nasty “Chinook headaches”. Even though one of a Chinook’s most striking features is the Chinook arch (a band of stationary stratus clouds) and even gorgeous sunrises and sunsets, these warm Rocky Mountain winds can cause profound weather changes which can set off severe headaches, and even migraines, in some locals who suffer with them. 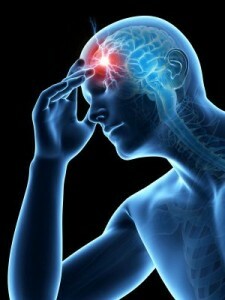 Headaches are caused when blood vessels in the brain expand and press against nerves. A migraine can have many symptoms characterized by nausea, vomiting, sensitivity to light and sound, auras (light spots), numbness and difficulty in speech. Migraines are definitely known for their severe pain and can last for days, and in some cases weeks, making life pretty debilitating. If you’re one of those souls who long to enjoy the lovely Chinook weather and beauty that accompanies it, but who suffers badly from these weather-related headaches, relief IS possible. LLLT is more and more in demand for treating migraine headaches. Low level laser, instead of needles, targets key energy points on the body helping patients heal more quickly and with longer lasting results, allowing them to get back to their daily lives. Low level laser therapy is a safe and non-drug alternative for pain control. Call us at 403-301-3730 today! Calgary Laserworks is happy to arrange a FREE consultation at your convenience.